Practically everyone is a computer user, but not everyone can use Excel. In general, people are divided into two categories: some enjoy Excel tremendously and cannot imagine their lives without it and the others hate it to the same extent. Let’s try and figure out the reason for these feelings and differences in attitude. As they say, “every medal has two sides”. Excel started with an electronic table. What was special about it was the ability to experiment with different sizes of cells, fonts, and symbols. Excel also offered a smart approach to cell counting, for example, one could count only those cells that were amended, disregarding others. 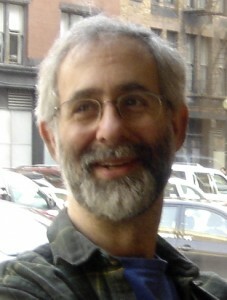 The origins of Excel date back to 1979 – that’s when the very first electronic table was developed by Dan Bricklin (on photo), a student from Harvard. Like most other students he had to do lots of mathematical calculations and hated them because they were very time consuming. By developing the first electronic table in the world he once again proved that Harvard students were some of the best around. The program he developed was called VisiCalc. Right away the program turned out to be a success. Its first version was intended for Apple computers – yes, they actually existed in 1979. Not only that, but after implementing the electronic table functionality their sales increased significantly! Later, more advanced features of electronic tables’ development was offered by Lotus. The company offered the first table processor for IBM computers, and again, thanks to this initiative, Lotus increased its sales up to 50 million dollars. The Excel version that we all know, and love/hate, is dated from 1987 and belongs to Microsoft. What Microsoft offered was a user-friendly interface along with a wide range of functionality. Excel can analyze data applying “what if” conditions. You will immediately see how different data will impact the whole picture, which is very useful to calculate profits and expenses. One of the best benefits of Excel is the ease and convenience of using it. If you need most frequently used buttons you can add them to the toolbar. If you need to print an Excel worksheet, the program will let you fit all data into one page if necessary. Overall, the program has been designed to make your life easier. Sometimes it’s even hard to imagine how much was invested into it – not from the financial point of view, but from an intellectual one. And those who did it definitely deserve admiration.